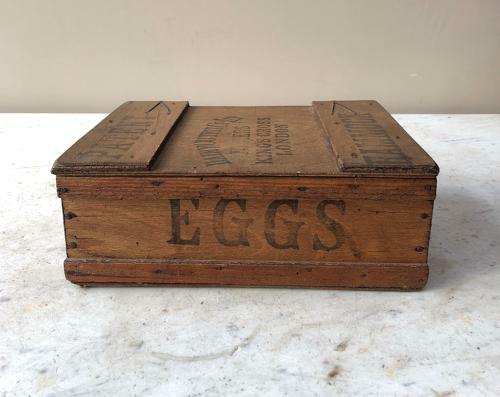 1930s Travelling Eggs Box made by the Dairy Outfit Co Ltd - Patent HAMMOCK. Lovely clear writing EGGS on the front, sides and back. Complete with the inside compartments, felt cover and the original advertisement on the inside lid.